Agency 451's creative services start with real marketing strategy and an abiding devotion to uncovering deep and actionable customer insights. Whether through intimate qualitative interviews or with rigorous quantitative research methodologies, their creative process is the same—start with the unique customer insight that sparks the emotional creative message that will ignite your customers’ passion for your brand. Agency 451 believes that it's just as important to measure demand as it is to drive it. Their data analytics service creates custom KPIs for each client to benchmark and track to ensure short and long term success. Agency 451 always does a deep dive into site and advertising analytics before developing and executing their strategy. They also use enterprise-level tools to look at the market and competitors during all audits. Agency 451's digital marketing services will help you stay ahead of the trends and optimize your digital content. 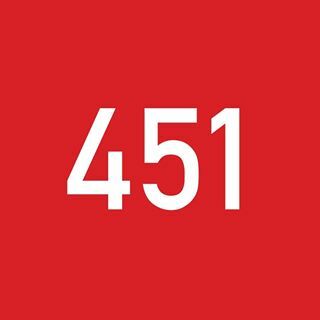 Agency 451's social media service provides brands the opportunity to engage and interact with customers in real time to grow a loyal following. They implement cutting-edge digital advertising tactics such as programmatic, PPC, geo-fencing, social media, display, retargeting, and mobile to deliver the right message at the right time to customer audiences.